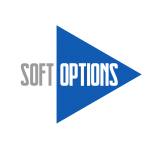 Since 1985 Soft Options have specialised in providing computer solutions designed to fulfil the business needs of its customers. Its skilled consultants deliver cost effective systems to an expanding UK client base ranging from small businesses to corporate and public sector customers. Building on an established expertise in a wide variety of software products, the company delivers a complete range of services from small business solutions to bespoke applications. The company offers a wealth of experience in all PC-based software for database, network, accounting, document management, remote access, smart device support and web systems. In-house programming and consultancy skills are complimented by engineering facilities to provide a complete hardware and software solution. All our systems are fully supported by project management, site implementation, and customer training services, backed up by an engineering team dedicated to hardware and network installation, troubleshooting and maintenance. Software specialists are available to provide continued on-site, and telephone support, and can offer round-the-clock on-line support services. Soft Options operate from Amisfield House in Hipperholme, West Yorkshire. This large detached Victorian Residence not only provides space to accommodate the hard working members of staff, but also provides teaching facilities, development areas, a location for our user group meetings and engineering workshops. Existing and new customers are welcome to visit at all times. 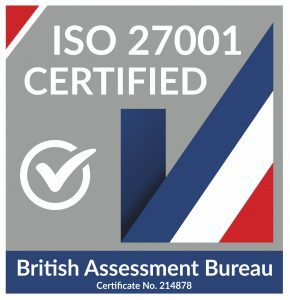 In July 2018 we gained our ISO27001 accreditation. This information security management standard lasts for three years and is subject to mandatory audits to ensure we remain compliant. After three years Soft Options will complete a reassessment audit in order to retain the accreditation for an additional three years.